Frequent readers likely know my proclivity for South Korean action and revenge films. So, yes, you’d be correct to assume I’m rather jazzed for Jung Byung-gil’s The Villainess. It debuted at Cannes in May, but a proper release is almost upon us. Check out a badass new action clip if you need a refresher about why you want to see this. Sometimes these swooping, fast-paced, pseudo-single-shot action beats play super overwrought and false, but this clip from The Villainess that JoBlo dropped doesn’t fall into any of those traps. Sure, it’s obviously green screened and full of hidden edits, but it has a visceral edge that makes it feel raw and real. And come on, it’s a sword fight on motorcycles. What’s not to love about that? The Villainess stars Kim Ok-bin (Park Chan-wook’s Thirst), Shin Ha-kyun (Sympathy for Mr. Vengeance), Sung Joon, Kim Seo-hyung (Doomsday Book), and more. 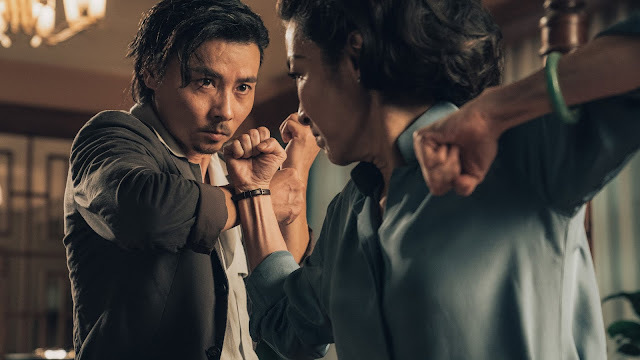 According to one report, 63 out of 70 shooting days involved Kim Ok-bin shooting action scenes, which sounds damn near perfect. Well Go USA will release The Villainess in New York and Los Angeles on August 25. After that, it rolls out in cities across the country. For those of you in my neck of the woods, it opens in Seattle at SIFF Cinemas on September 8 (I’ll have a review before that). As for the rest of you, check out THIS WEBSITE for a list of theaters and dates for other cities in the U.S. and Canada.